Boston lettuce is medium to large in size and rounded in shape with loose, wavy, cupped leaves. The broad, soft, green outer leaves are thick and frilled at the edges, encompassing more tightly bound, yellow tinted leaves in the center of the head. Together they form a rosette pattern of leaves that are wide and have a smooth, silky consistency with a uniform crunch. Boston lettuce is tender and crisp with a sweet, nutty, and mildly astringent flavor. Boston lettuce is available year-round, with a peak season in the summer through fall. Boston lettuce, botanically classified as Lactuca sativa, is an annual plant of the Asteraceae or sunflower family and is one variety of dozens of butterheads lettuces. Also known as a limestone lettuce variety, which is lettuce that was successfully cultivated in limestone-rich soils, Boston lettuce is recognized by its compact rosette shaped heads and large, easily separated, buttery leaves. Boston lettuce is favored by home gardeners for its tolerance to heat and is grown for its smooth texture and crisp flavor for use in wraps, soups, and salads. Boston lettuce contains calcium, magnesium, phosphorus, and potassium and is also a good source of vitamins A and K.
Boston lettuce is best suited for both raw and cooked applications such as braising or boiling. Predominately used as the principal ingredient in salad, its textures and subtle flavors are a perfect canvas for savory and bold, or bright, fruity companion ingredients. It is also commonly layered in sandwiches or used as a wrap for tuna or chicken. In addition to fresh preparations, Boston lettuce can be cooked and transformed into an earthy and sultry ingredient when slowly braised or added to a bowl of simmering soup, achieving a level of caramelization when paired with the right ingredients such as butter, rich meats, and chicken stock. Boston lettuce pairs well with citrus, tomatoes, radishes, chiles, fried and soft-boiled eggs, fresh or aged goat cheese, ricotta, cottage cheese, sheep's milk cheese, champagne, balsamic vinegar, cream-based dressings such as yogurt or buttermilk, dried fruits, apples, pears, melon, roasted chicken, bacon, shellfish, smoked trout, and herbs such as basil, cilantro, and dill. It will keep 3-4 days when stored in a loosely closed container and stored in the crisper drawer of the refrigerator. Bibb lettuce is named for its original cultivator, John Bibb. In 1865 he grew his special Bibb lettuce in Kentucky's alkaline soil and began giving the lettuce to his neighbors in town in 1870. The lettuce quickly grew in popularity, and the townspeople began to call the greens “Bibb’s lettuce” after John Bibb’s last name. Bibb lettuce was believed to have been created and grown in Frankfort, Kentucky by John Bibb and was commercially cultivated on a large scale in the United States in the early 1900s. Today Boston lettuce, a specific variety of bibb lettuce, is widely found at national supermarkets, farmers markets, and specialty grocers in the United States, Europe, Asia, South America, and Australia. Recipes that include Boston Bibb Lettuce. One is easiest, three is harder. 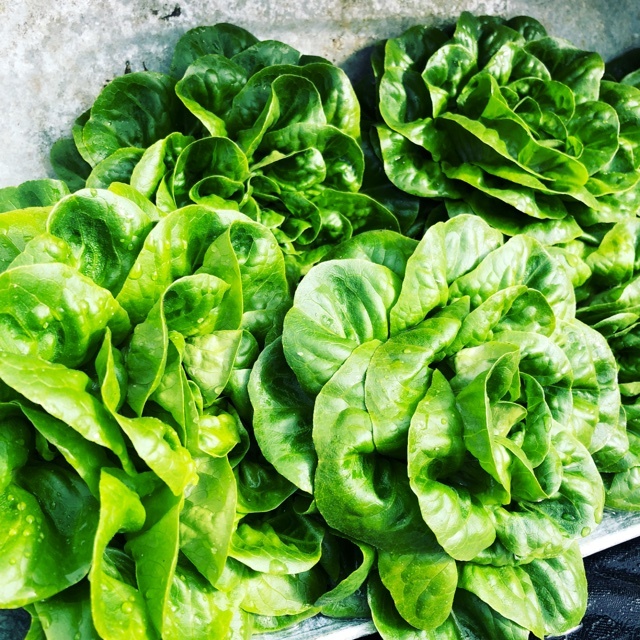 Someone shared Boston Bibb Lettuce using the Specialty Produce app for iPhone and Android. 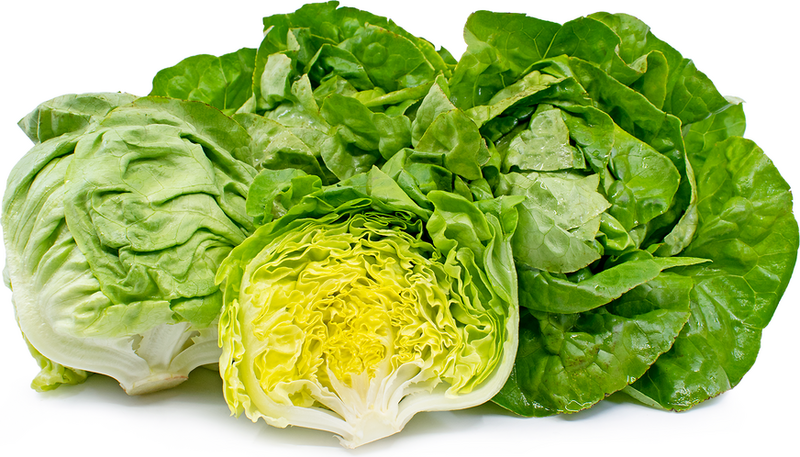 Sharer's comments : Boston Bibb Lettuce spotted at Bothell Farmers Market. A tender butterhead variety, perfect for sandwiches!